How did I get into cigar box guitars? So how did I get into cigar box guitars? Probably the same way as many of you. I saw a youtube clip and said to myself, what the hell is this amazing instrument? The CBG instantly intrigued me because it produced a sound like nothing else I’d heard. Being a musician, this was a surprise for me and I thought, I gotta build myself one of these. I was still a sparky doing my job day in and day out, playing some music at night and on the weekends and getting in some travel every now and then. (Music and travel have always been my favourite things to do). So, I built one, then two and it went on into double and then triple digits. In 2012, my wife, Margie, and I (with our two young kids) were about to go to Europe – taking my cigar box guitars with us. It came down to decision time. Stay in my job or take a leap in the direction of our dreams? We took the leap and we haven’t looked back. 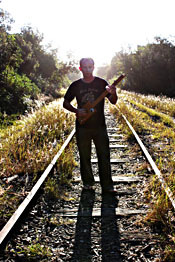 We love the cigar box guitar blues n grooves so we travel around Australia spreading the good vibes. We feel incredibly lucky to do this. To say Womadelaide is an amazing festival would be a massive understatement. The world music vibe is where it’s at. 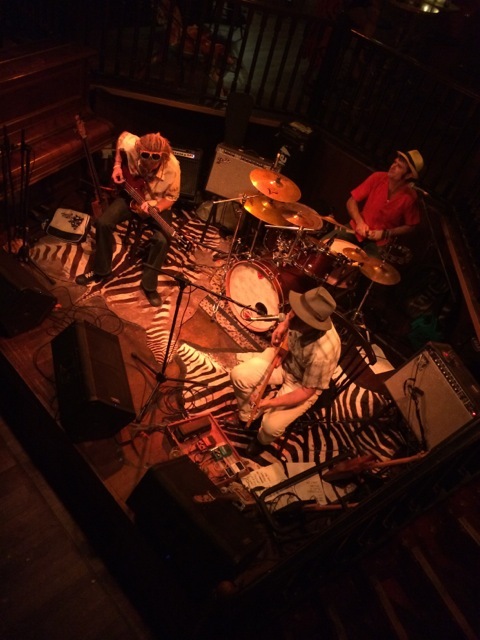 I saw some Hawaiian slack key guitar, a Mongolian band, Hanggai, Jeff Lang, Coloured Stone, Carminho (Portugese blues/folk songstress) and many more. 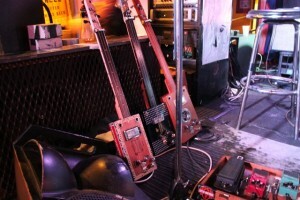 And people loved the cigar box guitar – from 5 year olds up to your grannies and grandpas. 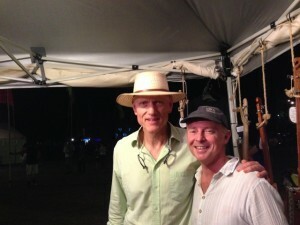 We even had Peter Garrett from Midnight Oil pop in for a play! Will be back next year if they’ll have me (Margie said I can’t leave her and the kids behind next time – I know my 4 and 7 year olds would love it). 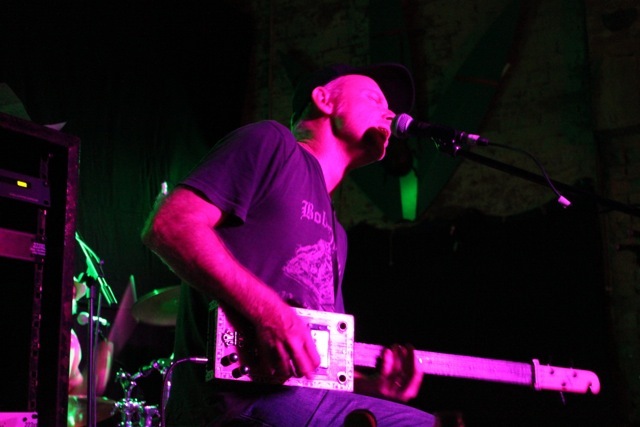 Peter Garrett on the cigar box guitar! 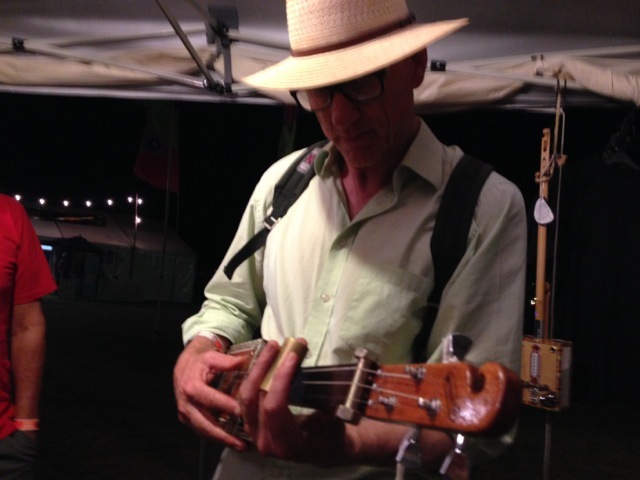 I’ll be at the Byron Bay Bluesfest again over Easter with my cigar box guitars. If you haven’t been, it’s a festival to be experienced at least once in your life! And as usual it’s an amazing lineup of acts. 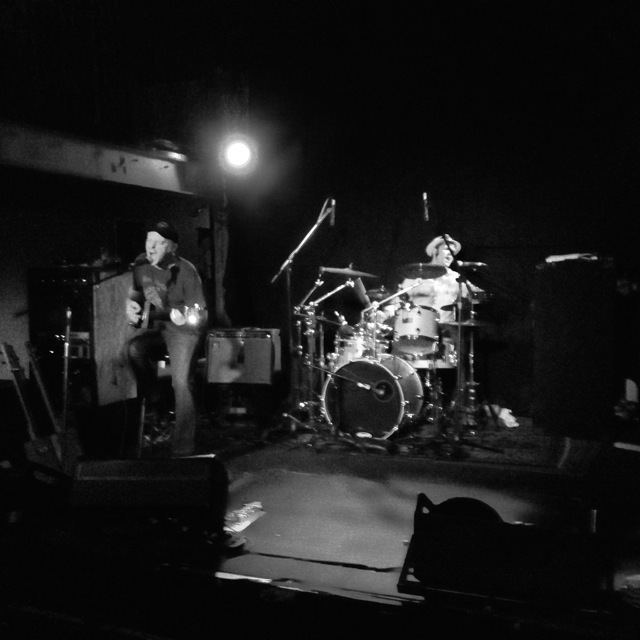 I’ve also been really happy to play some gigs recently from Dubbo to Wollongong and in Brisbane. Here’s a few pics. Here’s a vid for how-to-play ‘Wild Thing’ on your cigar box guitar…an oldie but a goldie from my youtube channel. I’ll also be doing some new how-to-play vids after Bluesfest so if you have any requests, drop me a line. I’m offering (and will continue to offer) a free how-to-play CBG lesson with every online CBG purchase. 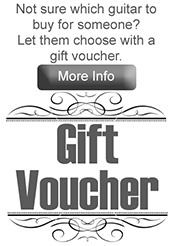 It will be tailored to your level whether you’re a complete beginner or advanced. I want to make sure you are not only happy with your CBG but can go out there and impress your friends and family (and yourself). Just a reminder that I’m also offering lessons to everyone via Skype or in person in Brisbane. If you need any information about cigar box guitars or want to provide some feedback, drop me a line. Viva la cigar box guitar revolucion!